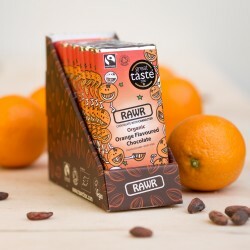 " Winner of a Great Taste Award 2016. " 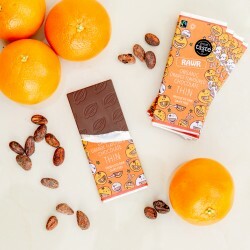 This is the Rolls Royce of chocolate - a smooth heavenly taste and fantastic texture with just the right hint of orange. 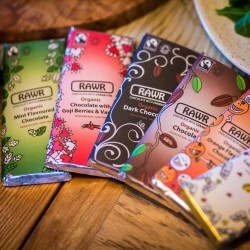 Having tried plethora of organic raw chocolates over the years, this is by far the family favourite. 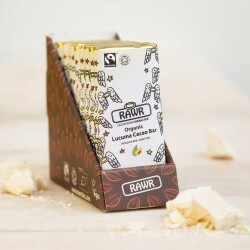 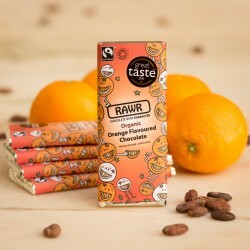 Some makes of raw chocolate are far too chalky and some don't capture the smooth taste of chocolate either, but RAWR have managed together exactly the right balance. 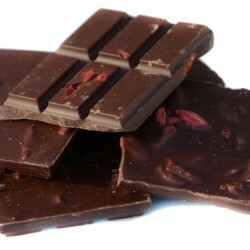 We have been eating this brand for about 7 years now and it is still a treat every day. 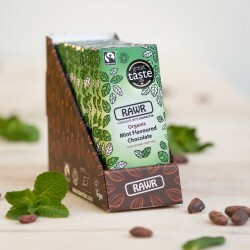 Cannot recommend enough!